I love buying the little cookbooks at the checkout aisle. The photos are always so lovely and I always think how wonderful it would be to have my completed recipe turn out as nice. 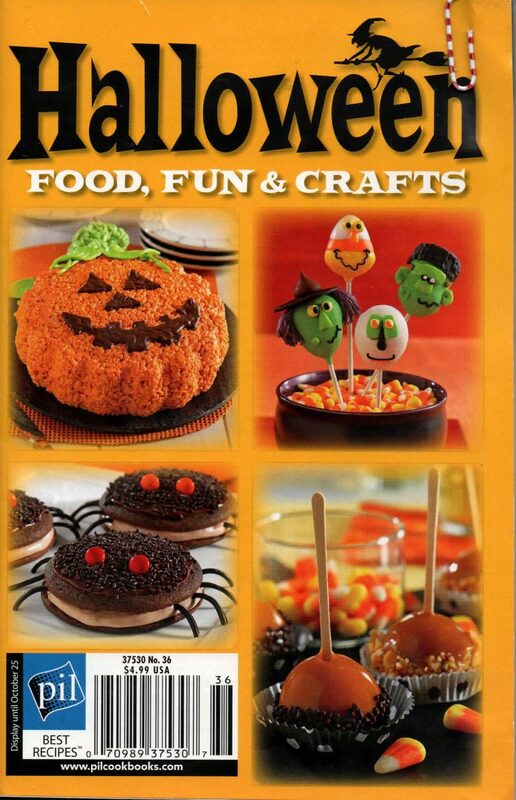 Em & I found this halloween cookbook that we had to have. We marked all the recipes that we wanted to try and started with Monster Claws and Cheesy Bats. This is the first time in a while that a recipe has ended up looking like the photo in the cookbook. Preheat over to 425. Lightly grease baking sheet. 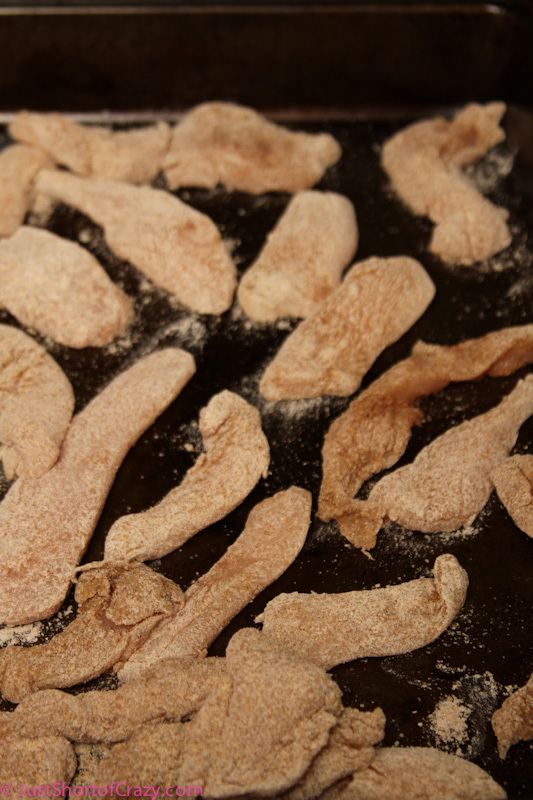 Combine flour and 2 teaspoons of Old Bay into a large ziploc type bag. Add chicken, seal bag shut, and shake. Place crushed fried onion in a shallow bowl. Place eggs in a separate shallow bowl. Dip chicken in eggs, then roll in onion until well covered. Place on baking sheet. Bake 12-15 minutes, make sure the chicken is no longer pink in the center. Let chicken cool slightly so it is easy to handle. Make a 1/2 inch slit in one end and slide the slice of pepper into the slit. This create the nail. 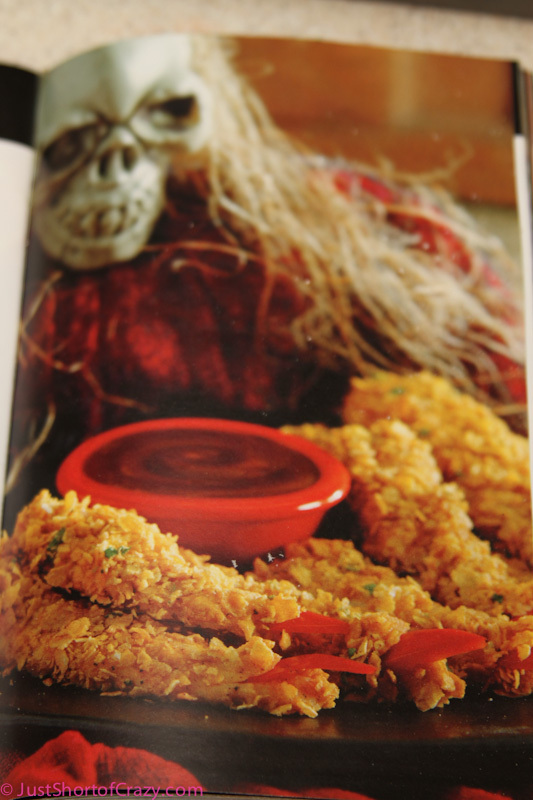 Serve with dipping sauce of choice. Easy peasy. 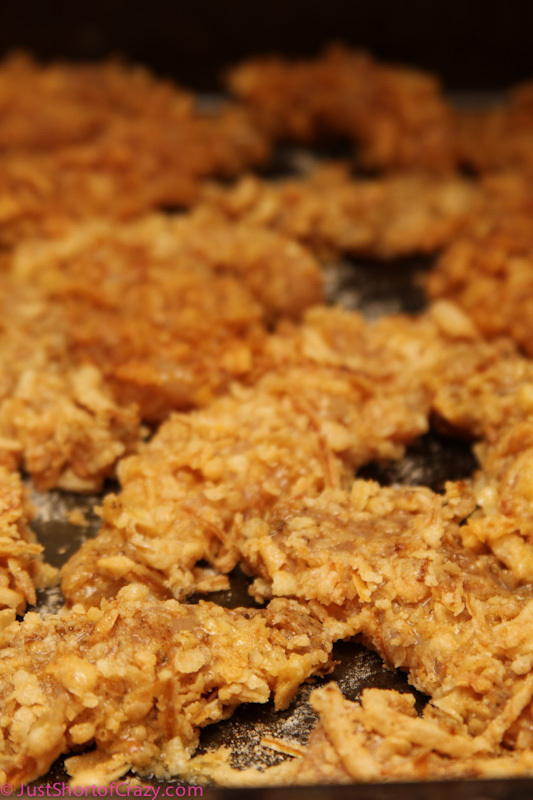 We loved the chicken strips with the crushed French’s onion on them . Really any coating will do. You could try crackers, corn flakes, shake n bake, etc. 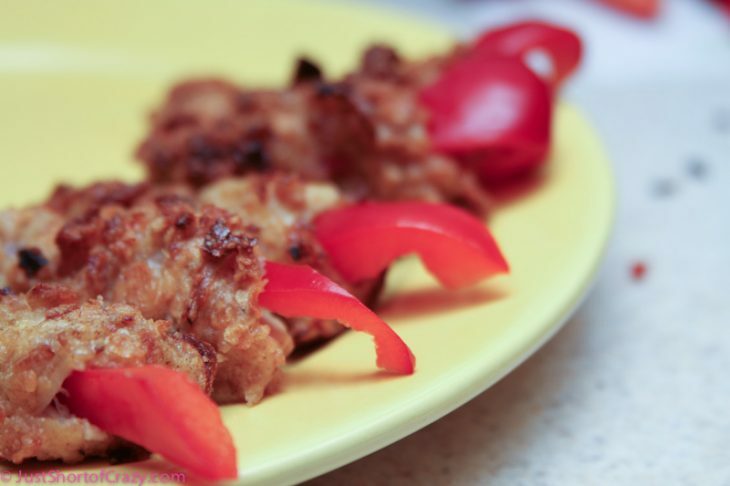 Chicken coated with Old Bay seasoning—yum! I agree, your are much more monsterlike……… :-))) when are you going to visit Virginia? Still waiting! Ha these are totally awesome, wonderful for a Halloween party! cute! I love Old Bay Seasoning! That stuff is great! We’re going to have to try these for our halloween party!